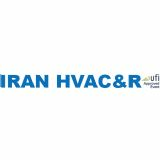 IRAN HVACR is the international specialized exhibition, which covers the whole Iranian HVACR market - from climatic equipment suppliers to engineering and mounting companies. 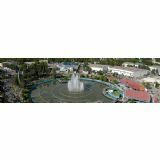 Iranian companies producing various climatic equipment and leading world manufactures and their representatives in Iranian market of air conditioning, heating, ventilation, and refrigerating are among the Exhibition participants. Iranian regional companies, professionally working on climatic equipment and services markets, also take part in the Exhibition.